BaitRageous: Must have been a lighthouse keeper in a past life, sort of? Must have been a lighthouse keeper in a past life, sort of? I ate at a Red Lobster the other day with my wife and teenager. After we finished our meal, I started looking at the decor. 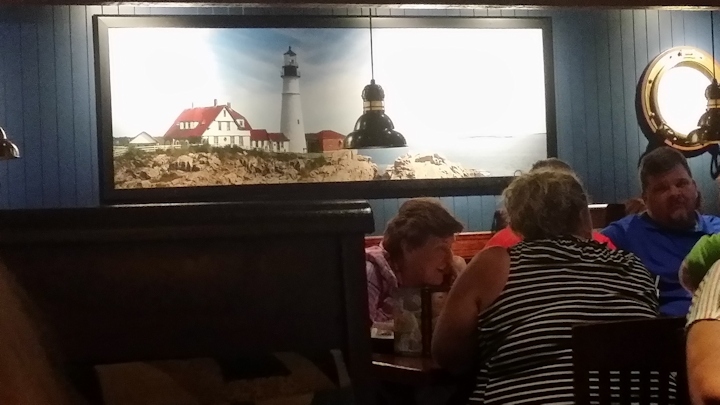 If you have ever been to Red Lobster, the decor is all about the sea, lobster and seascapes. Oh dang, I've been to that lighthouse and it wasn't long ago while on a trip to Maine. 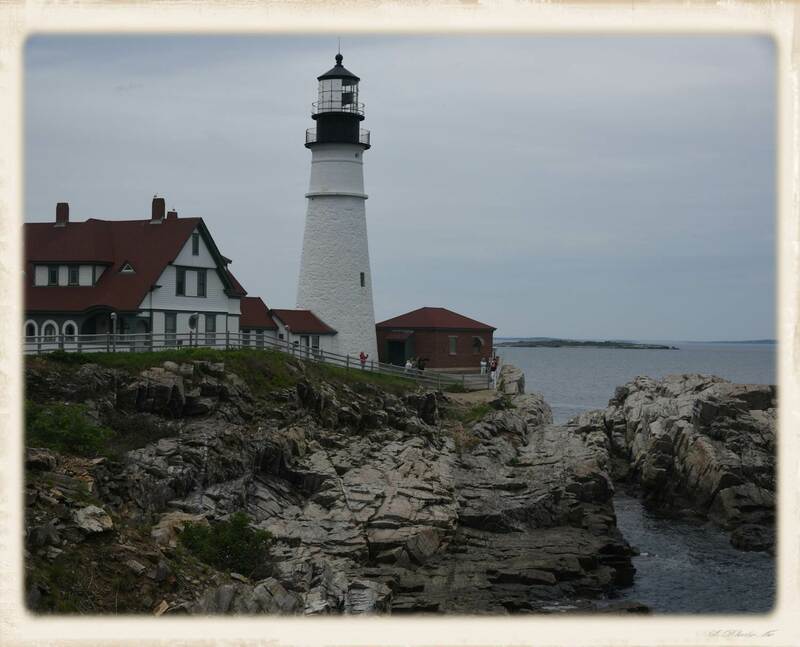 It's the Portland Head Lighthouse in Portland, Maine. Here's the proof, a photo that I took. Oh well, I don't guess that in a past life I was a lighthouse keeper, but I almost worked at a Red Lobster when I was in high school! Check-out my custom and personalized river, lake and bay maps.